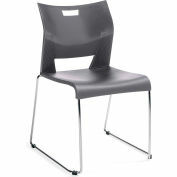 Stacking chairs with no arms feature padded vinyl on the seats and square backs. 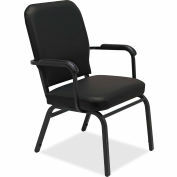 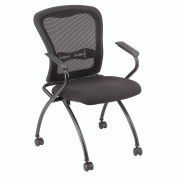 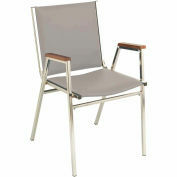 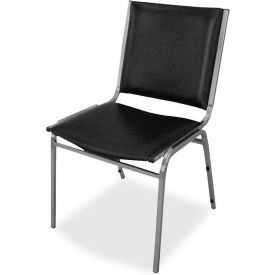 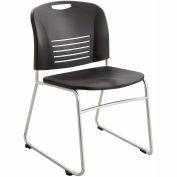 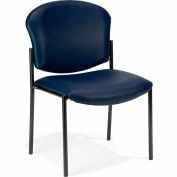 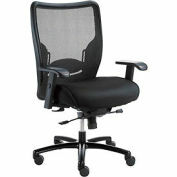 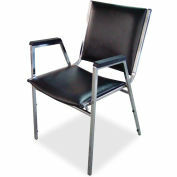 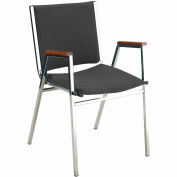 Sturdy, 7/8" tubular steel frame on each chair holds up to 250 lb. 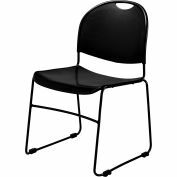 Black chairs stack up to eight high. 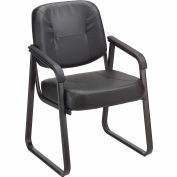 Your review: These padded chairs are very nice, and perfect for our religious education office.